Every two years the Adriatic Coast is home to one of the most beautiful motorcycle events in the world: the World Ducati Week 2016. Internationally, this great celebration of motorcycling made ​​in Italy is reaching the fame of the most important American Bike Week, but of course it is entirely dedicated to the Ducati red. 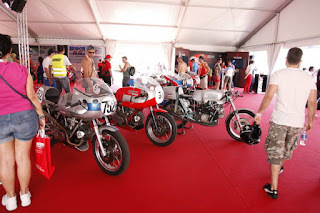 It lacks a little over three months to the opening of the gates of Misano Adriatico to thousands of motorcyclists who will flood the streets of the city and of the World Circuit Marco Simoncelli. Do not forget the dates: 1 to 3 July. With the organizational phase now in vivo, as Ducati announce the opening of the box office for the purchase of tickets. Joining is easy and there are different formulas, with both riders pass (rider / motorcycle) which pass passenger / visitor. 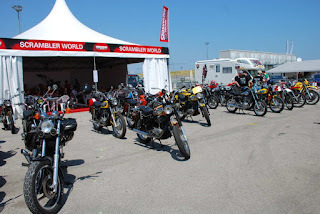 The pass is valid for three days more interesting, with the possibility of making a turn on the track with their bikes and sign up for one or more tours between Land of Engines, and Ninetieth Welcome to the World Ducati Week 2016, but it will also participate in a single day.